01. Which group did Bowie form with his schoolfriend George Underwood, their only single being 'Liza Jane' in June 1964? 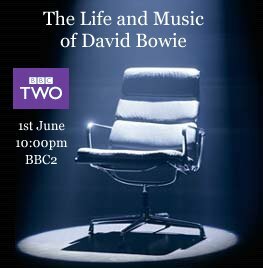 02. Who taught the young Bowie to play the saxophone and later worked with him on Lou Reed's 'Transformer' album? 03. Released in 1973 which album gave Bowie his first number one in the UK album charts? 04. Written very soon after the birth of his son Zowie, which song contains the line 'a funny old crib on which the paint won't dry'? 05. With which orchestra conducted by Eugene Ormandy did Bowie narrate Prokofiev's 'Peter and the Wolf' on a recording released in 1978? 06. Who replaced Ken Pitt as Bowie's manager in 1970? 07. The Diamond Dogs album was originally planned as a musical version of which novel? 08. At which London venue did Bowie and the Hype make their concert debut in February 1970 when Bowie appeared dressed in lurex tights and a billowing cape? 09. What was the name of the song that David Bowie wrote with John Lennon and Carlos Alomar which was a 1975 top twenty hit in the UK charts? 10. In which stage role did Bowie first appear in Denver, Colorado in July 1980? 11. Which of Bowie's singles was the first to top both the UK and America charts? 12. Owen Frampton the father of Bowie's schoolmate Peter Frampton taught Bowie which subject at Bromley Technical High School? 13. In which 1996 film directed by Julian Schnabel did Bowie play the role of Andy Warhol? 14. What was the name of the 1985 top twenty hit single which made a brief reappearance in the UK charts in 2002 after it had been remixed by New York producer The Scumfrog? 15. On which label was Bowie's single 'Rubber Band' released in December 1966? 16. Which track from his Earthling album did Bowie make available specifically for internet download in September 1996? 17. Who did Bowie play in Martin Scorsese's 1988 film 'The Last Temptation of Christ'? 18. What was the name of the George Harrison composition that Bowie did a cover version of on his 2003 Reality album?